Extra Perched at the top of Tarav Parvat, the lush green environs dominate the aura of the Tara Devi temple. Tips Anything made with leather is not allowed inside the Temple. Facts The scenic view that surrounds this beautiful temple of India is absolutely breath taking and splendid. Brief Circa-1845 hilltop temple accessible by stairs & popular for picturesque mountain views. Extra This majestic temple was built in the year 1845 and it is from the name of the Goddess Shyamala that Shimla derives its name. 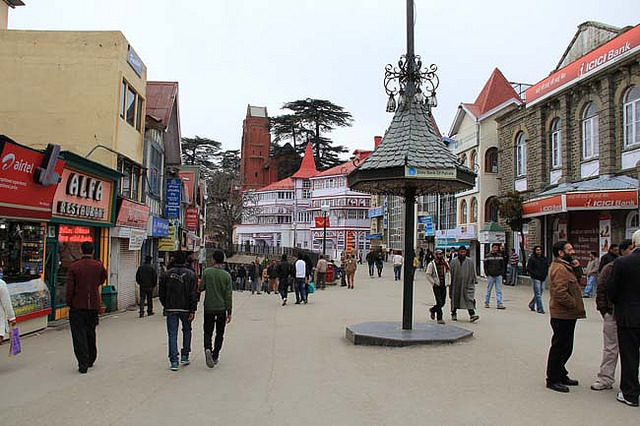 Facts It is set amidst the lush green forests of Shimla and offers a magnificent view of the Himalayas, and this is the reason why tourists love to explore this stunning hilltop. 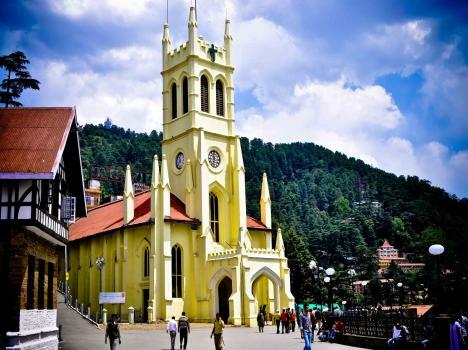 Brief Christ Church, Shimla, is the second oldest church in North India, after St John's Church in Meerut. Facts Built in Neo-Gothic style of architecture, it took nearly thirteen years to construct it. The stained glass windows over the altar and the clock were placed in 1860. Tips Visitors are allowed between 9 AM and 6 PM on all days except Mondays and there is a lunch break between 1 PM and 3 PM. Brief Popular Hindu temple complex in a picturesque setting known for its views & tranquil atmosphere. Extra The temple is located in the midst of lush green trees just below National Highway 22. Facts The Sankat Mochan Temple houses the idols of Lord Shiva, Lord Rama and Lord Ganesha in separate complexes along with Lord Hanuman in the main temple. Tips The temple management offer free food and Prasad to devotees by Langar every Sunday during whole year. Tips Don’t forget to take your camera or handycam with you as the place offers a view point for some captivating scenery of the hills around Shimla. Brief Dorje Drak Monestary is a beautiful Buddhist monastery that displays the prevalence of Tibetan culture in the state. 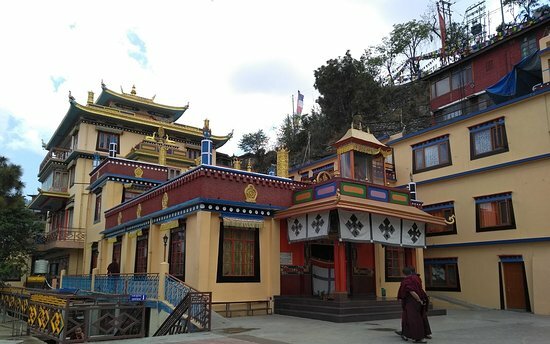 Extra Dorje Drak monastery is being run by the Tibetan exiles who have been in India since 1960s. Facts Also known as Thubetan Evam Dorje Drak, this monastery follows the Nyingma tradition, one of the ancient schools of Tibetan Buddhism.